The hotel really has everything you need. 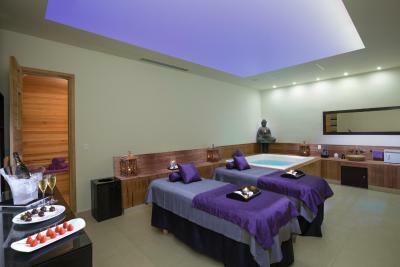 We were located in the adults only area and it was very relaxing. For us the check-in was quite fast as we were lucky to be first in line but it could be quite long if you arrive at a busy moment. The food was very good at the restaurants (we recommend the Careyes). Sometimes you may have to wait for a few minutes for a table but it didn't affect us too much. 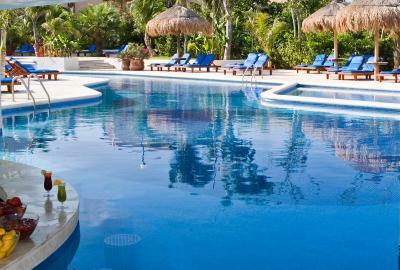 The hotel is very clean, the staff very helpful and the pools amazing. A plus is that even if there were many algae the staff was cleaning the beach every morning. At some other hotels nearby the beach looked awful. All in all, we had a very good stay at this hotel and we left very relaxed. Nice resort wirh lots of facility and entertainment. great kids pool, and the room and beds were ok. most employees were nice and helpfull. nice with no loud music. The beach was kept clean Our children loved the blow-up slide in the kids' pool. Snorkelling with tropical fish straight off the beach was lovely. Bring a mask and tuba! Kayaking equipment rental although only 30 minutes at a time. The buffet food was very good: if you didn't mind standing in a line 30-50 mins for breakfast, less so for lunch and definitely for dinner. The beach was great with sand access- just had to get up at 6.30-7am to secure a lounge with shade. 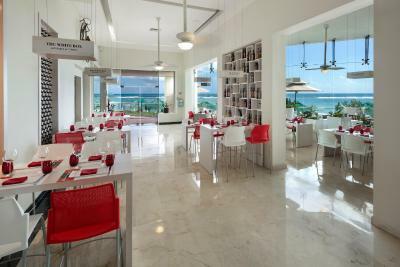 The variety of the food, the service, the place was always clean and ready, the view is awesome on the tables by the windows. The beach-- that's it. 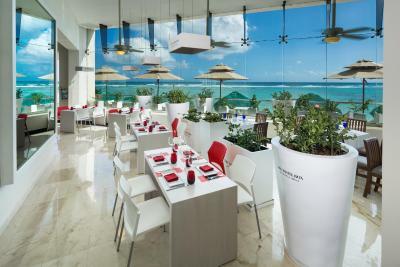 It was stunning but the service, food and facility had a lot to be desired. 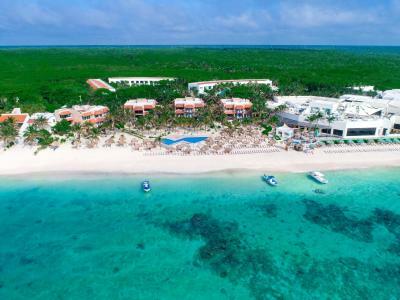 Located on Akumal Beach, this stylish all-inclusive resort offers swimming pools, 2 spas and a wide range of restaurants and bars. 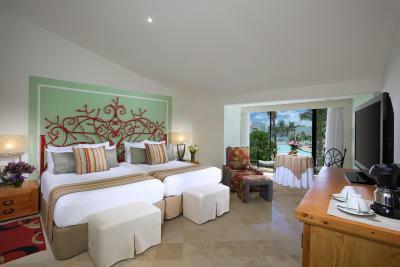 Rooms at Grand Oasis Tulum have balconies with sea or garden views. 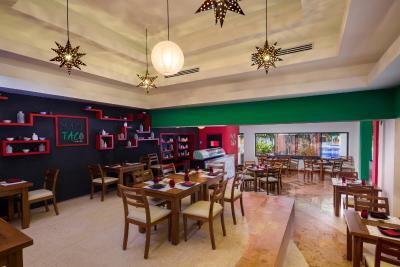 Each air-conditioned room features modern Mexican-style décor, a safe and flat-screen cable TV. 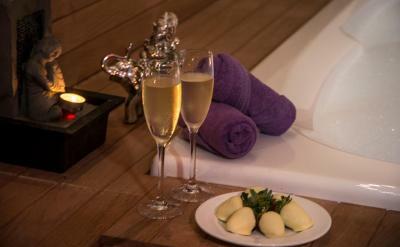 All rooms have a private bathroom with a shower and free toiletries. 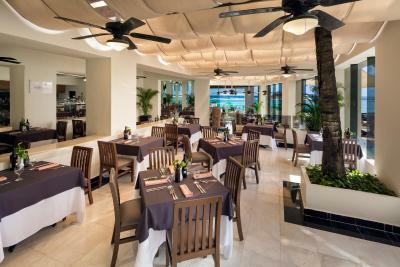 Dining options at the Gran Oasis include gourmet, Mexican, Asian and Mediterranean restaurants. 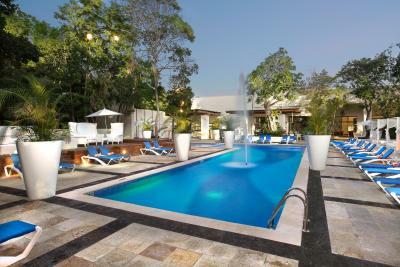 There are also 9 bars, including swim up bars and poolside terraces. 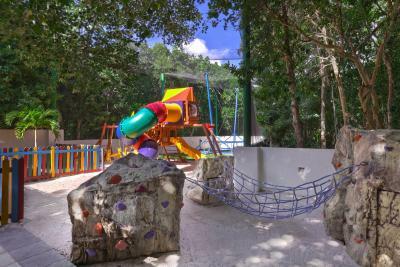 The Grand Oasis Tulum offers a kids’ club and a play area, as well as tennis courts and a gym. 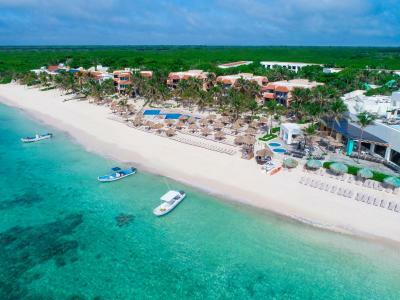 Staff at the tour desk can arrange activities including diving and snorkelling around Akumal Bay. 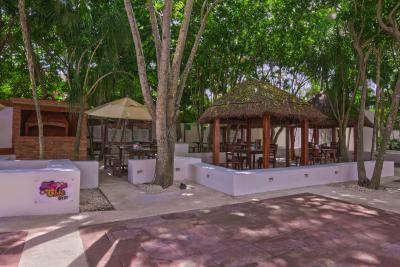 The Mayan ruins of Tulum are a 15-minute drive away and lively Playa del Carmen is a 20-minute drive away. 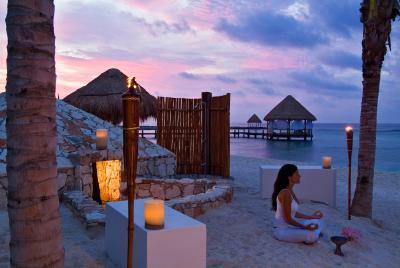 You can drive to the Sian Kaan Biosphere Reserve in around 30 minutes, while Cancun is an hour’s drive away. 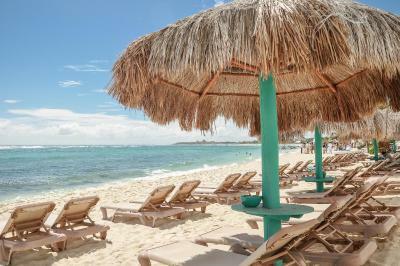 Grand Oasis Tulum - All Inclusive has been welcoming Booking.com guests since 20 Jun 2013. 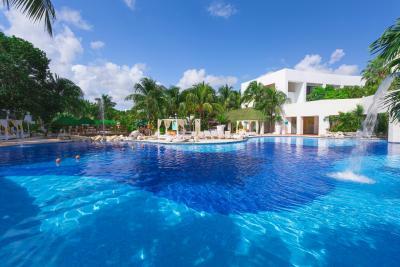 When would you like to stay at Grand Oasis Tulum - All Inclusive? This double room has cable TV and minibar. Garden or pool view. 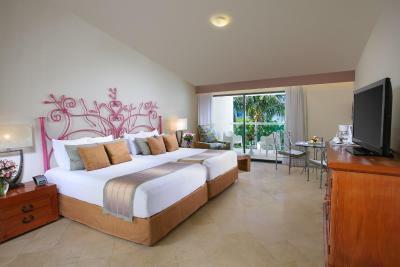 This double room features air conditioning and minibar as well as Garden or pool view. 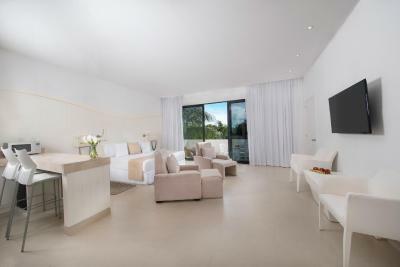 This double room features air conditioning, minibar and sea view. 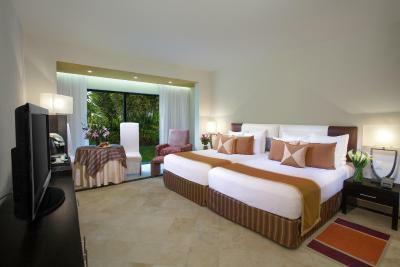 This triple room features a minibar and air conditioning. Garden or pool view. 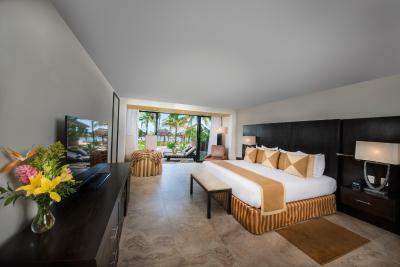 This triple room features a minibar and air conditioning as well as ocean view. This family room has a microwave, minibar and air conditioning. This family room features a kitchenette, microwave and minibar. This family room has a minibar, air conditioning and microwave. WiFi is available in all areas and costs USD 20 per 24 hours. 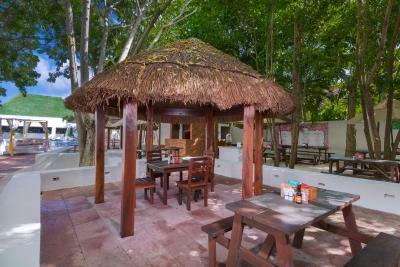 House rules Grand Oasis Tulum - All Inclusive takes special requests - add in the next step! 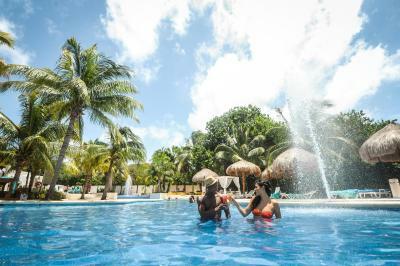 Grand Oasis Tulum - All Inclusive accepts these cards and reserves the right to temporarily hold an amount prior to arrival. 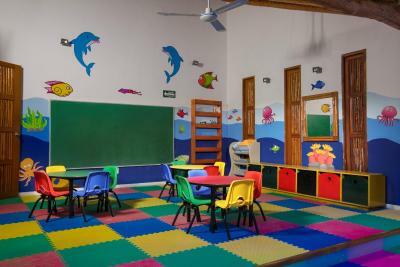 Up to two children free at any time, between 0-12 years old. 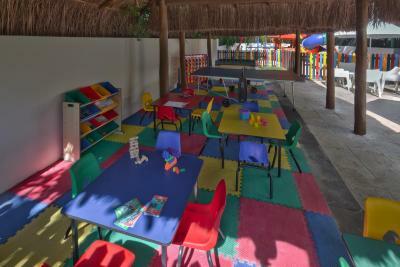 To make valid this promotion, add the children information and age, into the reservation. One child free per adult paid. Credit cards issued to persons other than guest (i.e. parent, spouse, etc.) are not accepted in Mexico. 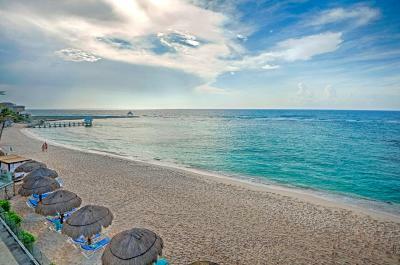 Minimum age requirement for hotel check-in is 18 years of age. All rooms require one person that is at least 18 when occupied by a 17 year old guest. All students under the legal age of 18 require a notarized consent from parent/legal guardian providing authorization and taking responsibility for the guest. No guest under the age of 17 years of age is allowed to occupy any room without a parent or legal guardian accompanying them. A lot. Check in took forever, they said due to change in computer system, but poor customer service didn’t end there. Had to switch rooms since ours was not as promised, new room had great view but no tv, many lights inoperable, missing blankets, broken sliding screen door laying on deck, many promises to Make amends by hotel employees that were never delivered. Restaurants were either not open or had very limited hours, food as expected for all inclusive-in a word “meh”. Definitely a family resort. Kids everywhere. After changing our room the ocean view was excellent! A few staff made stay special including yoga instructor Angelo and lovely barista at coffee shop. Guacamole was good too! - Poor service, they Need more People. - Bad quality on Drinks - 1 hour(min) of waiting lines to have dinner - For New Years they gave the guests some plastic hats and other stuff, which the next day was of course all over the beach. No one took care of cleaning this to avoid pollution. I kept bringing all the waste I saw into the trash, but of course I cannot clean the whole beach. 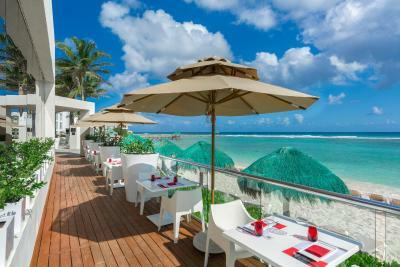 - Besides the beach area, the hotel has no nice place or bar where you can sit to enjoy the see view. 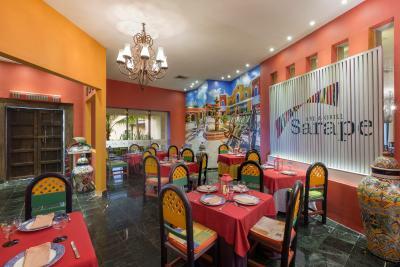 Overall it was not a nice experience and would never go back, nor I recommend the place. I will never again do an all inclusive after this experience. Food is not the best, but could be worse. The hotel is shared with a much fancier complex which you don’t have access to any of the facilities for - it does make you feel a little like the poor relations! 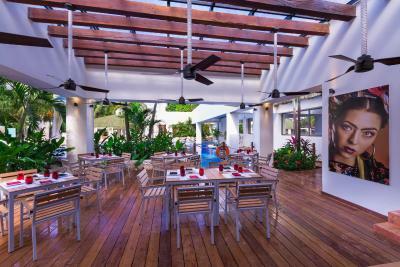 Nice staff, huge bedrooms, gorgeous beach with great snorkelling - and they allow you to use the paddle boards and snorkelling gear for free. Every day very loud music program (till midnight or longer) - we couldnt sleep. Also room service was awful, never refill our minibar even we asked many times. Room phone didnt work. Small beach with stones and corals. Staff unhelpful and badly managed. 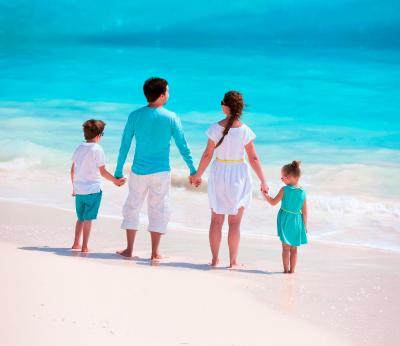 Photos imply you can use the SIAN Kaan facilities...you can’t and definitely no kids allowed in there. Drinks safe very poor quality. Not to big. Beach is nice. The beach is amazing and rooms are big! 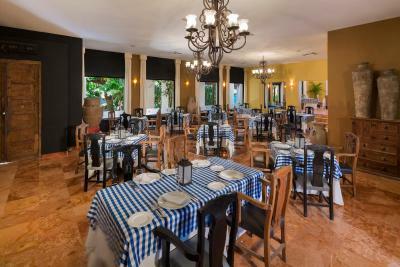 The service at the Careyes restaurant which is supposed to be a top restaurant was not up to the expectations. They mixed the order twice and the glasses were not always clean. But this was a minor point compared to the general experience. The food at the buffet seems to be out for a while and it did not have a good selection. Mexican cuisine restaurant did not open during our stay. The beach was nice, staff try to keep it clean. The staff in the Sian Kan adults only. Messed up my birthday reservation and did NOTHING to fix it. Ended up without celebrating my birthday as it was too late to organize it somewhere else and have a cake ready. Made a reservation the 7th for my Bday the 9th at 6.45pm and was assured the cake will be ready. The 9th in the morning double checked that it will be all in Time for 6.45 and was said all is taken care of. Came down at 7pm to find the restaurant CLOSED. the explanation was that because of poor interest they closed it for the next 2 days. NO ONE gave me ANY NOTICE or SOLUTION for my BIRTHDAY!! The butlers attitude is not even for a 1 star hotel. If you get an upgrade they will remind you that you are upgraded the ENTIRE TIME! The restaurant reservation system in the entire place, no attention to cleanliness or to details at all. When we reached our room the towels were black nd dirty. Went down to the pool/beach area and no towels were available, asked in 3 different places to get us a towel as we were getting cold nd no one would do so. The answer is they are finished and again NO SOLUTION will be given to you. Same with the drinks. If something is not right to the reach of the hand of the bartender he will simply not make it for you. Order something else cause he couldn't care less. Even if the solution would be for him to take 5 steps and get the ingredients from the next place. The room 2339 is a hole not a room. There is a wall missing between that room and the next one, so every time your neighbor goes for a leak you will think he is taking it next to your head. 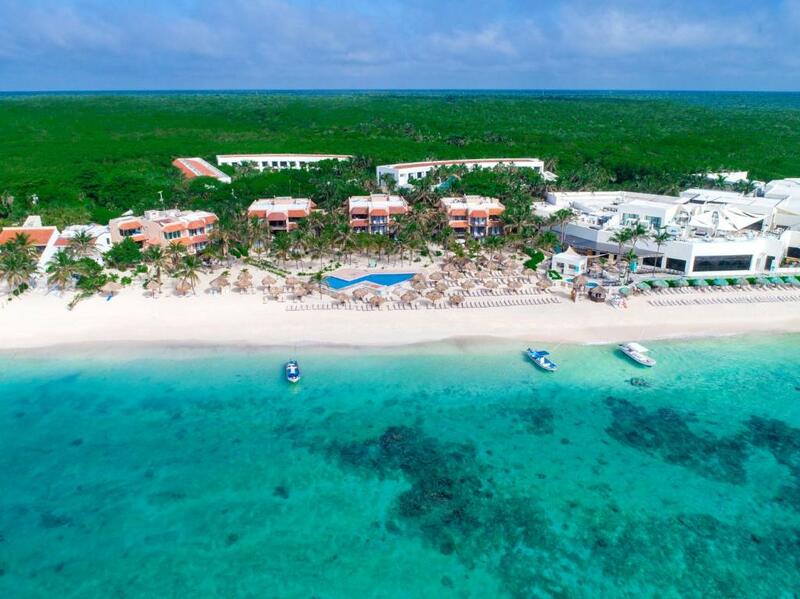 This place is a disaster and a disgrace for the All Inclusive of the Riviera Maya! hhhmmm where to start. at first, if you visit this hotel, remember to have cash with you. if you withdraw from the atm located at the hotel it is very expensive. you can only got dollars, and if you want to change to pesos the "servicedesk" at the hotel takes a fee. they will not help you break a 20$. if you use the wifi on the hotel only one device can be conneted. you can nok switch between items, so only one phone/tablet can be online. if you want other devices on the wifi you can pay 10$ pr. day!! come on its 2018!! don´t buy anything at there shop. they charge over prices on everything, and if you pay in dollar, you will only get pesos back at a very poor exchange price! no wunder the girl always smiles extra when you bought anything there! the cleaning at the pool area is very poor, and there were often garbage from the day before. there were basically 3 bars where you could get drinks. 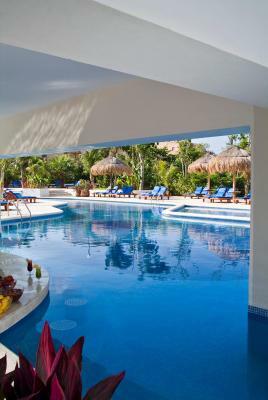 one at the kids pool(poolbar) serving non alcohol ofcourse and one at the big pool(also poolbar). 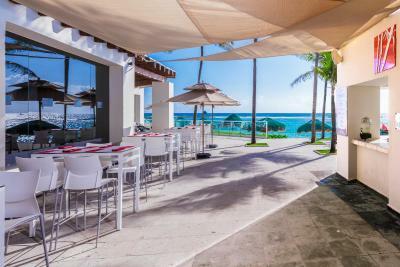 then there was a bar next to the beach, so if you didn´t have planed to go to the pool, you would have to walk all the way to the beach bar to get a drink. the people working there is mostly kind, but if your nok ready with a tip when you get there help og they make a drink for you, you will deffinetly be served last the next time. the week when we visit the resort, i think there were visit from the management. everytime we were eating there were 2 waiters asking i everything was ok at wanting go take your plate. relax and let me eat my food in peace. it was the buffet, not the restaurant! it feelt like the hotel didn´t know what kind of hotel they wanted to be, and the service desk didn´t help much. they didn´t make it easy to be a custumer at there hotel. 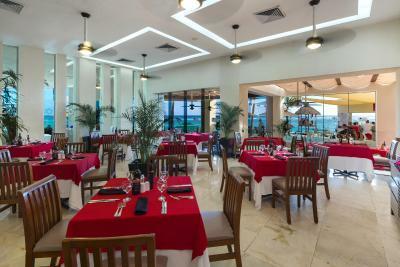 Availability at the restaurants: the reservation information were not accurate. No reservation were needed but the staff kept mentioning that reservation was required at all restaurant, except the buffet. 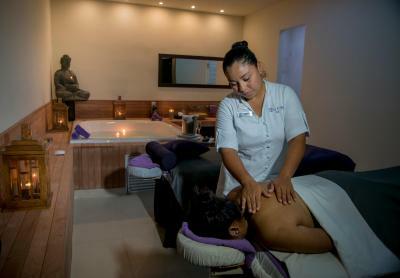 The staff was overstretched and not friendly nor accomodating. All restaurants had either queues to be seated (including the main buffet restaurant) or reservations systems (where you had to queue for over 30 minutes). Not appreciated when you're on holiday. No Breakfast alternative for early departure including room service (5:30am departure) No room on the beach or around the pool unless you get up before 7am and reserve with a towel (my pet hate) Not many options for natural drinks - mostly fizzy drinks or concentrated juices/syrup. Incredible when most bars/restaurants offer fantastic fruit juices. Awkward situation to have the adult only resort next door, many activities advertised but unavailable to us as we have children (eg sunrise yoga). We were made to feel like trespassers and escorted out (3 meters) just for asking for some information at the edge of the resort. Very rude staff, dirty windows and other glass surfaces. Long wait in bar to get a drink. Blocked and dirty toilets ( room toilets ok) Rubbish from previous day was still everywhere next day. Far from town. 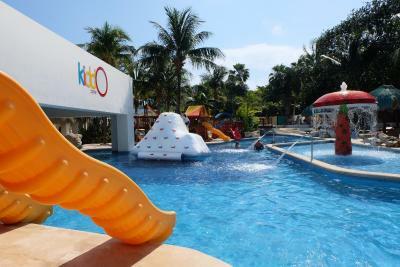 Very large kids pool with slides. Mexican food in buffee nice quiet beach lots of chairs available. Room was right by pool bar that says it closes at 11 but it was loud until 3. 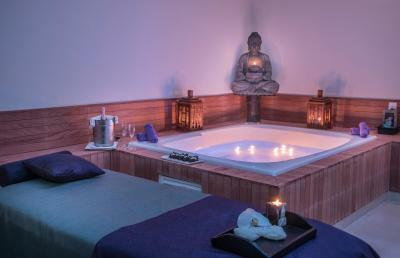 If you do not need sleep then this is the place for you. If you like dirty areas then this is the place for you. If you like bathrooms that smell like poop then this is the place for you. If you like mold growing on the walls then this is the place for you. If you like unfriendly staff then this is the place for you. Go some where else. View. Entertainment. 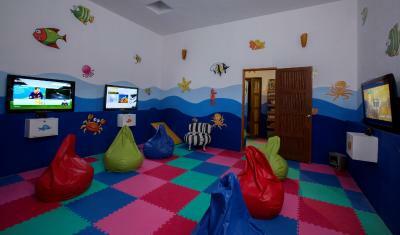 Kids area. Bed.